Enjoy efficient, long-lasting light with the BAS MWP Series. 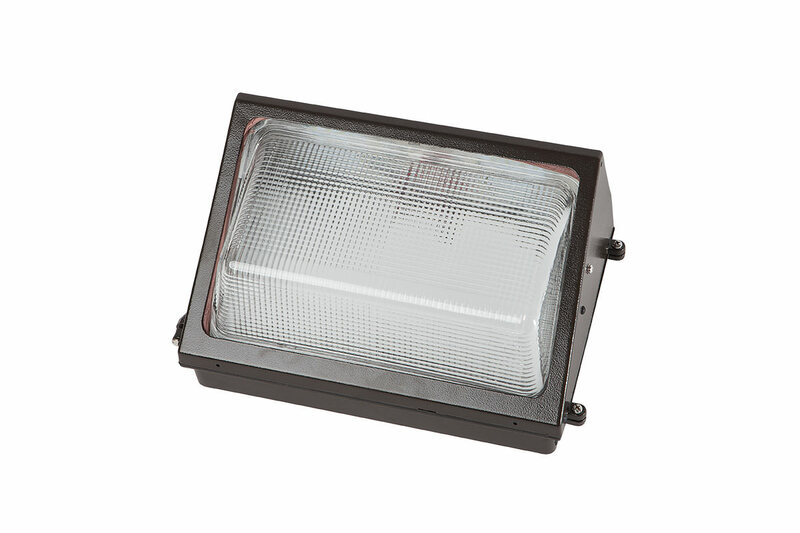 High quality LEDs provide steady illumination while wet-rated die-cast aluminum housing provides premium, year-round protection. 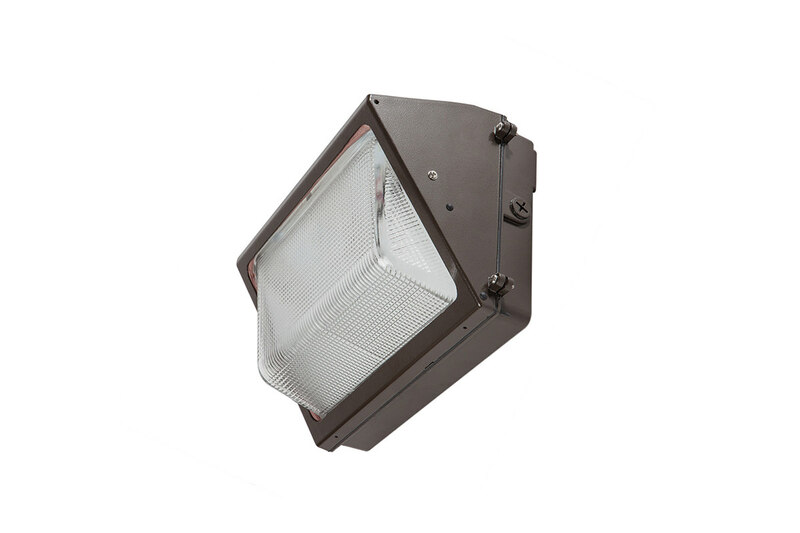 The BAS MWP Series is optimal for general building lighting in applications such as parking facilities, entry ways and underpasses, and can be used to replace up to a 250W HID fixture in retrofit projects. The strongman of modern-day lighting. 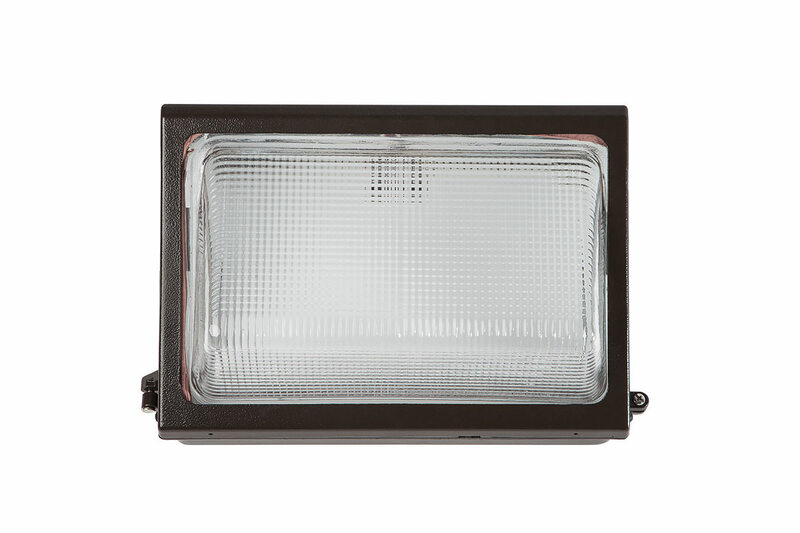 This fixture’s rugged aluminum housing provides long-lasting protection, no matter the weather conditions. It stays looking great, too. A bronze durable polyester powder coat finish hides dings or scrapes that are inevitable in industrial spaces. Plus, it will cover the footprint of your original wallpacks. What’s not to love? A sturdy borosilicate molded glass lens improves light distribution, meaning better, more effective light. Reduce energy consumption by making the swap for any light up to 250W metal halide fixture. You won’t regret it. A 5000K color temperature ensures a brighter, newer look in any space. Perfect replacement for those sad, orange-looking lights. A lumen range of 2,000 to 5,000 means we’ve got you covered, no matter your footcandle requirements.